David Michael Bautista, Jr. (born January 18, 1969), better known by his ring name, Batista, is an American professional wrestler currently signed to World Wrestling Entertainment on its SmackDown brand. 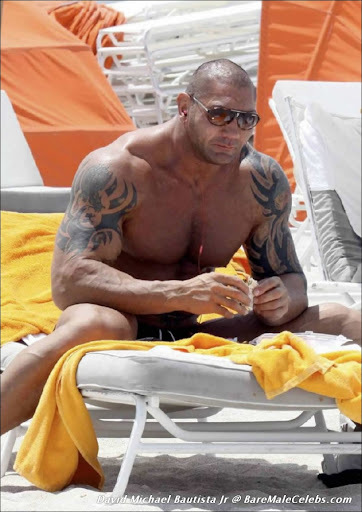 In professional wrestling, Batista is a five-time world heavyweight champion, having won the World Heavyweight Championship four times and the WWE Championship one time. In addition to these championships, Batista has also won the World Tag Team Championship three times (twice with Ric Flair and once with John Cena) and the WWE Tag Team Championship once (with Rey Mysterio). Batista was also the winner of the 2005 Royal Rumble match. After trying out at the WCW Power Plant, Batista signed a contract with the World Wrestling Federation (WWF) in 2000 and was sent to its developmental federation, Ohio Valley Wrestling (OVW), where he won the OVW Heavyweight Championship.